I coach entrepreneurs with internet or technology start-ups. I help my clients grow their businesses while finding a healthy balance between work, relationships, and physical health. We all have a secret garden inside of us ready to bloom. I believe that we are the captain of our own ship, the master creator of our life and the author of our legacy. Supporting others in bringing out the best in them is my passion. I look at everyone like a rock waiting to become polished into a diamond. I meet my clients where they are at and adapt to where they are and where they want to go. 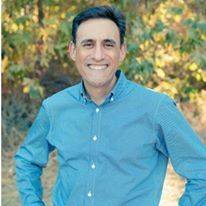 I have over 25 years of entrepreneurship experience working in the Silicon Valley high-tech industry and have mentored executives to achieve their goals and experience self-realization by living out their real potential. I have a deep interest in the human spirit and world cultures. I am native Spanish speaker originally from Madrid, Spain and am comfortable coaching individuals and couples in Spanish and/or English. I thrive in creating dynamic partnerships with my clients and love celebrating their many successes along the way. As I see, all my clients are success stories about to happen. Please contact me for a complimentary session to see if you are a fit or a candidate for coaching. I also work with couples and conduct exclusive group coaching. Have you worked with Javier? Tell your friends! Javier doesn't have any reviews yet. Javier hasn't submitted any articles.